Spring is a time of fresh starts and renewals. Extend the “spring cleanup” you give your house and yard to your vehicle. You’ll not only improve its performance and lengthen its life, but you’ll spare yourself time, money and aggravation. Whether you do the work yourself or depend on a professional technician, getting your vehicle in shape now will undo any damage caused by winter driving and keep you safe on the road this season. Remove clutter from your car. Vacuum the carpeting; Windex the windows; wipe the headlights with a soft, damp rag. Wash and wax your vehicle to remove winter salt and grime and protect the finish. Cooling system (radiator): flush and refill according to the service manual’s instructions. The level, condition and concentration of the coolant should be checked periodically. Important — first let the engine cool down before removing the radiator cap. RK service technicians tell us that skipping oil changes can greatly reduce your vehicle’s life. Change the oil and oil filter as specified in your owner’s manual. Be sure to properly dispose of used oil. Replace other filters (air, fuel, PCV, etc.) as recommended in your service manual. You can assume that each 5 mph you drive over 60 mph is like paying an additional $0.29 per gallon for gas. Full story - click here. What's a buyer to do? To help answer that question, RTM presents its 2012 Green Car Buyer's Guide with various ecologically sensitive, fuel efficient vehicles on the market today without mortgaging one's future in the process. Other reasons to consider a hybrid vehicle purchase are auto insurance rate discounts. Check out these great discounts on hybrid vehicles. You're heading down the highway anxious to get home. Suddenly you hear cling clang, putter sputter. Your car is skipping beats and spitting liquid. Your adrenaline spews. Your only choice is to pull over on the dark freeway. Now what? If you're a man, this is a major inconvenience. If you're a woman, this could be terrifying, perhaps even life-threatening. No matter who you are, you've just become a sitting duck. Whether you work on the problem or wait for help to arrive, your time on the side of the road now makes you susceptible to the dark side of humanity. Can this be avoided? In most cases, yes, which is why GM Goodwrench has declared October Car Care Month, an awareness campaign created to focus attention on the importance of car care and maintenance, especially for those living in states that have drastic seasonal changes. Full Story. Road & Travel Magazine's 2012 Green Car Buyer's Guide, click here. 1. Dilute coffee spills immediately with cool water and blot with paper towels or clean rags. If a stain remains after the spot dries, spray on a glass cleaner (yes, a glass cleaner!). Soak the area, allow to sit for five minutes, and blot. Glass cleaner cleans all types of carpeting and upholstery without leaving the soapy residue of most traditional carpet cleaners, which only attract more dirt afterward. Glass cleaner isnormally effective on even the most difficult stains. Once your carpet is cleaned it's time to Scotchgard the surface to limit further staining. 2. Most greasy carpeting and upholstery stains can be removed by rubbing on paint thinner with a clean, 100-percent cotton cloth. Then cover the stain with salt until the remaining grease is absorbed, and vacuum. Or cover the spot with cornmeal and let it sit overnight and vacuum in the morning. Note: Test the effect of the paint thinner on the colorfastness of the carpeting and/or upholstery in a discrete area first. Cars and trucks on the road are flat out old – the National Automobile Dealers Association reports that the average age of vehicles on the road is at a 15-year high. This has more and more drivers investing in the maintenance and care of their existing vehicles. To not break the bank on repair costs, these drivers are saving money by fixing and upgrading relatively easy-to-install parts on their vehicles. Drivers are also finding ways to improve the fuel efficiency of their vehicles through do-it-yourself modifications. Where are they finding all of the necessary parts and accessories for these modifications? Online. To save costs, and time, drivers are increasingly turning to the Web to source simple maintenance items such as windshield wiper blades, all the way up to air intake and exhaust systems. Deep down, you know your car should be checked out before hitting the road for a summer road trip, but with so many other things left to do, some folks put it off. Bad idea, says the Car Care Council, especially when motorists realize that in as little as 10 minutes, they can determine if their car is ready for long-distance travel. But wait, there's more to the story. Click here. Car owners know they should keep their vehicles in good operating condition, but often do not know where to turn or what to look for in a repair shop. Some choose a repair shop based solely on its convenient location or an advertised special. Not the best move, according to officials with the non-profit National Institute for Automotive Service Excellence, also known as ASE. “Look for the ASE sign,” says Martin Lawson, Editorial Director at ASE. “It indicates the repair shop employs one or more ASE-Certified technician.” According to Lawson, finding a competent auto technician need not be a matter of chance. Much of the guesswork has been eliminated, thanks to a national program conducted by the National Institute for Automotive Service Excellence. “Qualified technicians are the backbone of any repair establishment,” notes ASE’s Lawson. 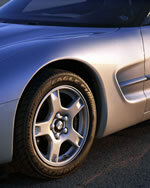 ASE tests and certifies automotive professionals in all major technical areas of repair and service. With almost 400,000 currently certified professionals, the ASE program is national in scope and has industry-wide acceptance and recognition. ASE-certified technicians and parts specialists can be found at every type of repair facility, from dealerships, service stations, and franchises to parts stores, independent garages, and even municipal fleets.